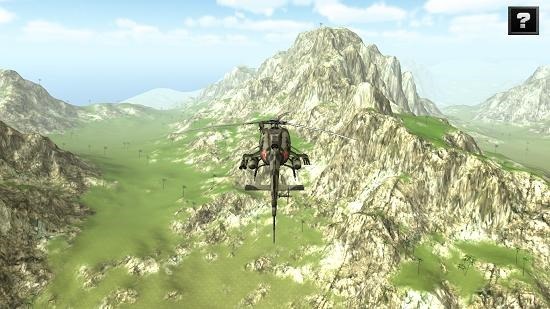 Helicopter Simulator 3D is a free helicopter simulator game for Windows 8 and 8.1. When you run the game on your device, you will be presented with a screen where you can start the game by merely tapping on the screen. The game has easy controls which can be learnt from the controls prompt which appears on your screen when you tap in the main screen of the game to start the game. The game makes for a great download and allows you to play in realistic surroundings where you can have the fun of flying a real chopper. 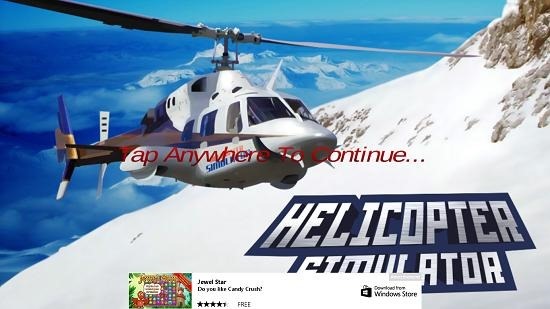 Helicopter Simulator 3D is available for free from the Windows App Store. When you run the game on your device, you will be shown the below screen. As is evident in the above screenshot, you can tap anywhere in the above screen to start the gameplay. What follows after tapping the main screen is a controls screen where you can see and read through the various controls of the game. Click anywhere in the above screen and you will be taken to the gameplay interface of the simulator. You can see that I am comfortably flying the chopper in the screenshot below. 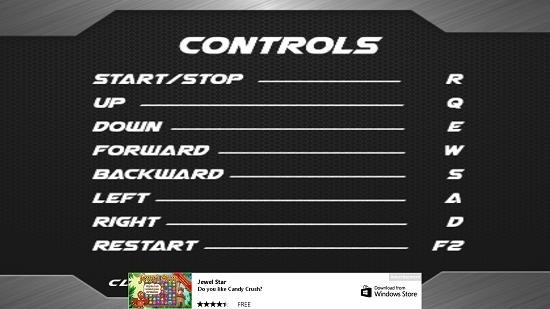 The controls screen can also be accessed from the gameplay screen by clicking on the button with the question mark at the top right corner of the screen. You can see that the game has extremely realistic surroundings. Judging by the size of the game which weighs in at under 40Mb, the graphics and audio effects are truly awesome. Fly carefully though, as if you aren’t careful enough, you may crash into the mountains! 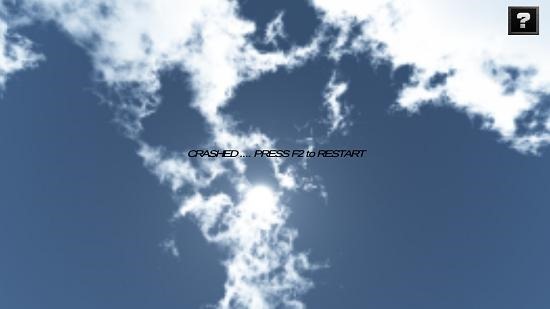 But fret not, you can always restart the game if you crash by pressing the F2 button and have more fun! This concludes the main features of Helicopter Simulator 3D for Windows 8 and 8.1. Helicopter Simulator 3D makes for a good helicopter simulator game wherein you can pilot a helicopter through realistic surroundings. The game is freely available from the link below.